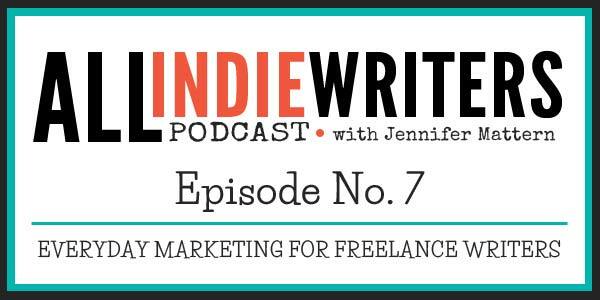 Friend and colleague, Lori Widmer, joins me as my guest co-host in this episode of the All Freelance Writing Podcast. If you wait until you're in the "famine" period of a feast-famine cycle, it's too late to start marketing to fill that time. You're already in the hole. Always market your services when you're busy. You want fresh leads before your current work dries up. Marketing doesn't have to be time consuming. Spending just 15 minutes per day is a good start, and it can bring in plenty of jobs. Marketing and sales are not the same thing. Don't let a disinterest in "selling yourself" stop you from getting into marketing. If any "expert" tries to tell you there's only one way to market your services (only querying, only cold calling, etc. ), turn around, walk away, and never look back. Several marketing tips are shared, including options you can pursue even if you do only have 15 minutes each day. What Freelance Writing Projects Pay the Most? "Which writing categories are generally more profitable/lucrative and which are not? E.g. we all know that: 1) Writing articles doesn't fetch any decent money nowadays. Composing blog posts is a bit better. Forum posting is as good as dead. [And] 2) Writing sales copies, business plans etc. is comparatively much higher paying." Yes, "forum posting" is pretty much dead as a freelance writing opportunity. It was never a great gig to begin with. No, blog posts don't pay more than "articles." We had to make the assumption that by "articles" he meant SEO web content as opposed to features and news articles. Yes, copywriting gigs can be high paying. But so can blogging jobs and article writing gigs. It's all about the individual client and the hourly rate you earn (rather than a project-by-project comparison). Don't choose your type of projects by what you think they pay. Figure out what you need or want to earn. Choose the project type you want to pursue. And then find clients who can satisfy both criteria. Be sure to check out Lori's e-book, Marketing 365. It's a straightforward collection of 365 marketing tactics you can use to promote your freelance writing services. Use one tactic every day. Or pick and choose to create your own marketing mix.